In February, National Journal released its Ratings for the U.S. House of Representatives. The ratings were based on economic, social, and foreign policy issues and Mississippi’s 4th District Congressman, Steven Palazzo, was rated as the most conservative from Mississippi and the 21st most conservative out of all 435 House members. Palazzo is more conservative than 76% of the House of Representatives on Economic issues, 87% on Social issues, and 95% on Foreign Policy issues. Independent Voters of Illinois-Independent Precinct Organization (IVI-IPO) provides an extensive listing of groups that provide Congressional ratings. Their list can be viewed by clicking HERE. David Elliott interviewed Gene Taylor, candidate for the 4th Congressional District, on WLOX’s “Sunday Night Extra.” The video was posted to Taylor’s Facebook page. Elliot asked about Taylor’s changing party affiliation and Taylor said he has always been pro-life, for a balanced budget, and a strong national defense and the Republican Party is a better place for him to be. Taylor hit his main primary opponent, Rep. Steven Palazzo, for supporting the Biggert-Waters Act and the weaknesses of the Flood Insurance Reform Bill signed into law by President Obama earlier this week. He also stated that Palazzo voted to cut the Department of Defense budget and says that those cuts are directly responsible for causing the U.S. Air Force to move aircraft from Keesler AFB [the Air Force says it is in response to Army and Marine Corps strength reductions]. Taylor believes that, by voting against Hurricane Sandy relief, Palazzo will not be able to obtain the support of others in Congress when south Mississippi inevitably needs relief in the future. In 2009, Taylor went against Democrat leadership by voting against Obamacare and pledged to vote for the best interest of the people of south Mississippi. The Primary Election is June 3rd. 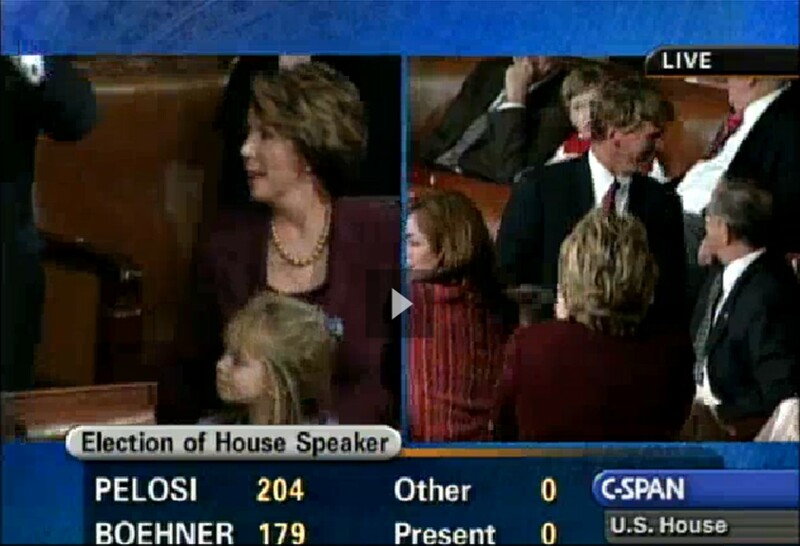 In 2008, Rep. Gene Taylor cast a vote in favor of elected Rep. Nancy Pelosi Speaker of the U.S. House of Representatives. C-Span captured the moment. After Taylor switched parties earlier this year, the June 3rd Republican Primary for Mississippi’s 4th Congressional District will determine if voters remember or care.